I don’t live anywhere near there. I’m not sure how well parts of New York City would cope if that much fell so quickly. Thanks, CDC. I Feel Safer Now. 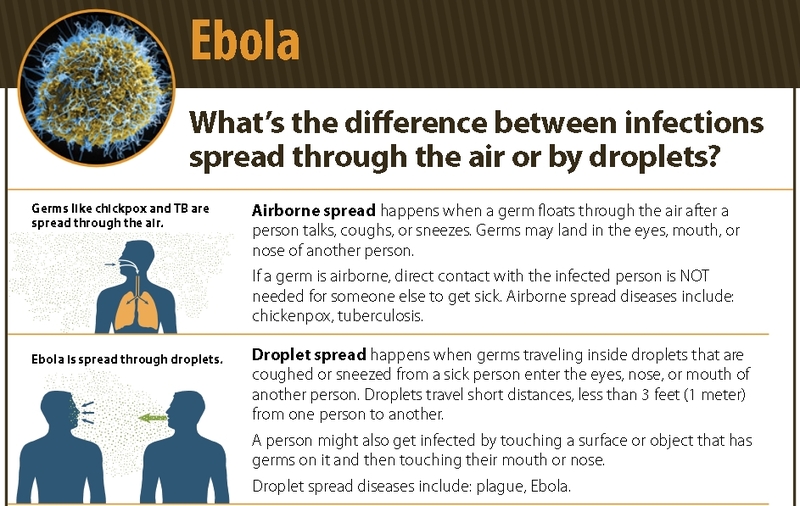 The CDC finally admits Ebola can be transmitted by droplets. USAMRIID Finally Involved For Ebola In U.S.
CDC’s Frieden Makes Claim. This Is So No One Forgets. It should have been stopped in Africa. There should have been an All Hands On Deck response from the start. WHO’s pathetic self-centered weeping about its response being “inadequate” doesn’t bring back the thousands who died horrible deaths that could have been prevented. The WHO, the UN agency designated with coordinating international response to disease outbreaks, missed chances to prevent Ebola from spreading when it was first diagnosed last spring, thanks to incompetent staff, a lack of information and bureaucracy due to “politically motivated appointments”, the report says. “Nearly everyone involved in the response failed to see some fairly plain writing on the wall,” said the report, obtained by the Associated Press. “A perfect storm was brewing.” The WHO refused to comment on the draft report. Bulletin just on NY1 News (local cable news station). Doctor being held for evaluation in NYC has tested positive for Ebola. 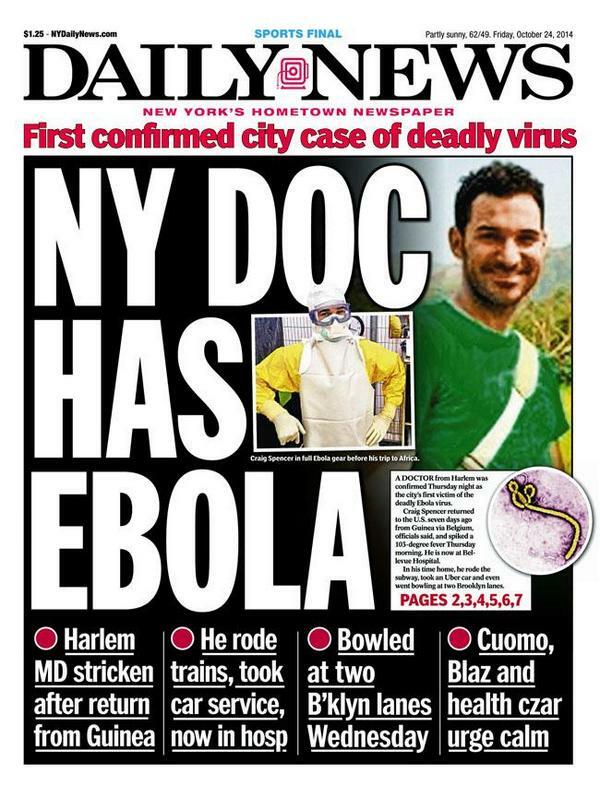 And Ebola reaches New York City. Hey, CDC, what do you say? The American Constitution forbids our troops being active domestically. However, I would support USAMRIID getting involved to stop this. The CDC is not working properly. Jacoby is already working with the military on the joint team, Kirby said, and once formed, it will head to Fort Sam Houston in Texas for up to seven days of training in infection control and personal protective equipment. The training, provided by the U.S. Army Medical Research Institute of Infectious Diseases, will begin “within the next week or so,” Kirby said. If USAMRIID fails, we’re all in trouble.